Can anyone answer this question? I feel a little silly asking, I am not the photographer in our group though, so just trying to figure it out. Thanks! 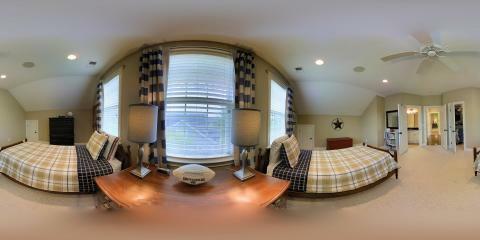 Can matterport images be exported as 360x180 panorama images? That would allow us to put them on google maps. I havnt tried that exact setting. But in the matterport workshop in the top right click on the gear. From there you can tell it what size image to export. Just write down the default setting for future use before changing it. The question you want to ask is - Can Matterport export a equirectangular image that can be transformed into a 360 degree spherical image. No, not from my.matterport.com. 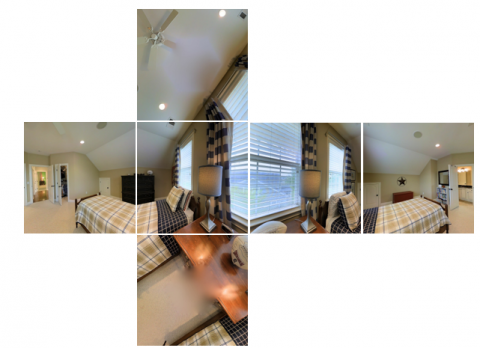 Just changing the export size does not capture the 2:1 equirectangular. We are currently building a few tools that use the .obj file. That's all I will say. Is anyone aware of an application capable of stitching 6 images and rendering a panoramic as illustrated in the picture. Just did a test, and it is possible to perform the conversion that is illustrated above for each scan position. It is a bit of work, but I am sure someone will be able to simplify the workflow. @JonJ, can you post what you have done and show us final product? Even if this is a rough first run just to show us what you got. I captured 6 images (1024x1024)from one scan point in one of my models and then using Pano2VR, I stitched them together and created a single panoramic image. I don't know if this would be practical for every image in a Matterport space, but for 1 or 2 scans, it is manageable. Also, thank you to @trustedphotodc for the assistance! Hi JonJ, that looks great. Its time consuming i think but you can capture as much images you like and then stich them together. But again time consuming.